From its magnificent setting at the foot of the Golden Gate Bridge, Fort Baker is the gateway to the Marin Headlands and other national parklands in the San Francisco Bay Area. Surrounded by more than 75,500 acres of open space, Fort Baker offers easy access to ocean beaches, coastal mountains, miles of trails, historic sites, and world-renowned scenery as well as one of the most vibrant metropolitan areas in the United States. Fort Baker will soon become a first-class destination for renewal and discovery, thanks to a partnership of private, public, and nonprofit organizations. The National Park Service, which manages the lands of Fort Baker, has welcomed two new partners to the site. The nonprofit Golden Gate National Parks Conservancy will manage the Institute at the Golden Gate, a center focused on today’s most critical environmental issues. The Fort Baker Retreat Group LLC, a private firm and operator of Cavallo Point, the Lodge at the Golden Gate (as well as the Post Ranch Inn), will bring world-class accommodations, retreat facilities, lifestyle programs, and guest services to the beautifully restored landmark buildings of Fort Baker. Whether you choose to convene a weeklong conference, enjoy a day-long visit to the Healing Arts Center or take an afternoon hike in the Marin Headlands, Fort Baker offers guests and park visitors a one-of-a-kind setting for inspirational and transformational experiences. 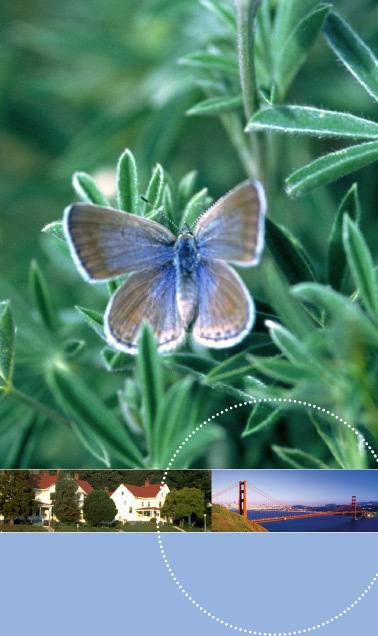 Fort Baker is a place to renew your organizational or personal vision and vitality, connect with the environment and those around you, and explore ideas and take action that could change the world.